Ganache – a glaze, icing, sauce, or filling for pastries made from chocolate and cream. Going by this definition, I expected Ganache Confections, to be a dessert place. But, by the end of the evening my assumption was proved incorrect. Thanks to the metro, travelling to Ghatkopar is so convenient. Approx 35 mins later – a metro ride + walk – I reached Ganache Confections. Dhruv (@instafoodiee) & Amisha (@lilmiss_sassy) were my Partners-In-Crime for the evening. By the time I reached Falafel’s were already served. 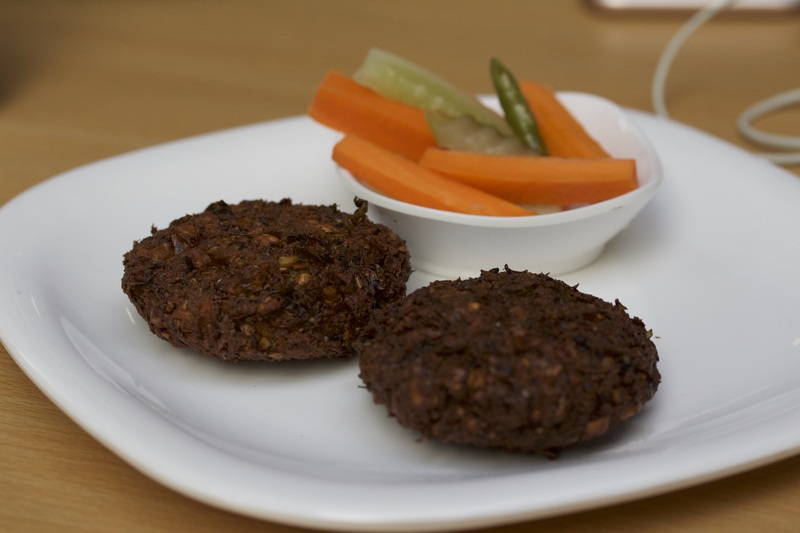 2 super crispy & a little over-fried falafels could be seen with some pickled vegetable. One bite & you could feel the crunch; though it tasted good it was actually over-fried. My hesitation about it was put to rest by the owner who confirmed the reason for the texture – “Its used in our Shawarma’s, wrap’s, etc. Hence we fry it extra crisp so that it doesn’t become mushy once coated with sauces, etc”. Simple stuff should be kept simple. But few places under the name of experimentation, end up ruining a simple Hummus & Pita. But this small café has got it right. 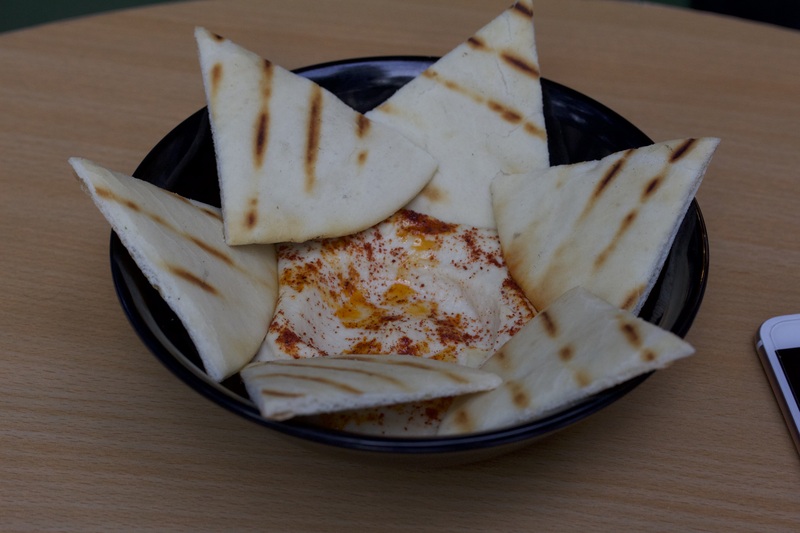 A bowl of smooth, creamy hummus topped with olive oil & paprika is paired with grilled pita bread. Hummus had a perfect balance of flavours & the bowl was cleaned in few minutes. Kitkat Shake & Chocolate Shake were sipped next. The Chocolate shake was way to sweet for my taste & couldn’t go beyond 2 sips. The Kitkat shake on the other hand was really nice. Balanced with Kitkat flavour. 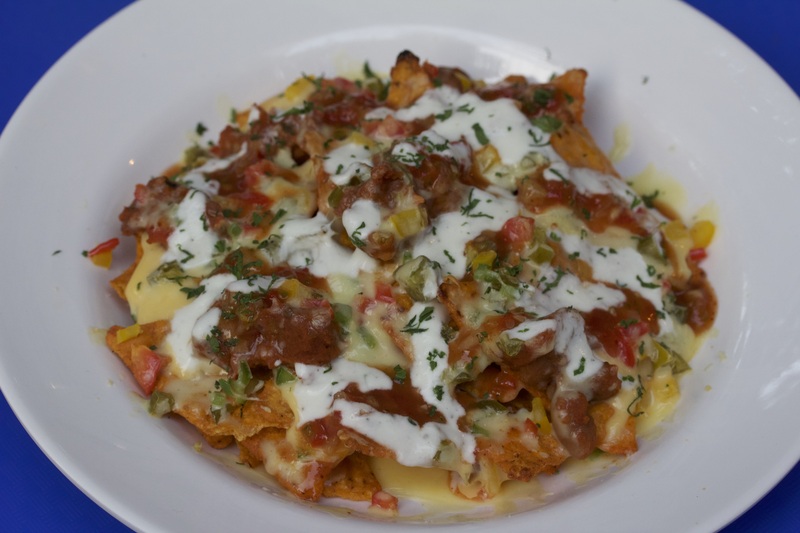 Nachos – Could be changed to plain ones. 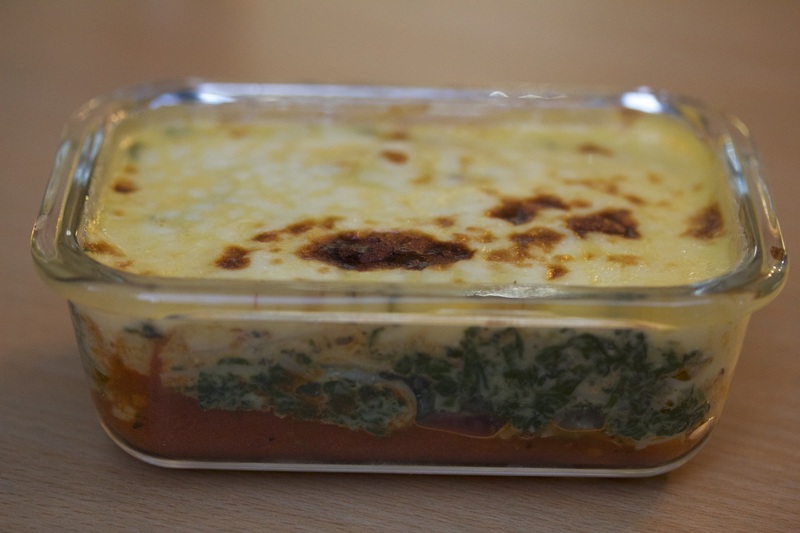 Served in a glass bowl, all the layers of the veg lasagna were visible. Spaghetti in arrabbiata sauce formed the bottom layer, mixed veggies the middle layer & goey melted cheese the top. The veggies were fresh & had retained their crunch. Best part – its Jain 😀 A must-have for all the Jains. Stuffed & how but we couldn’t resist the dessert – The Red Velvet Cake. Eggless & authentic. Made with beetroot puree & not red colour, this cake is soft & moist. The cream could be reduced though. A good end to our meal.